Medical Supplies and Information You Should Have. Medical Supplies and Information, You Should Have. The following is some medical information that I recently received in an email from one of our readers. This is some good information on pain medications and other medical supplies; I spent a bit of time checking this out and she is entirely correct. I’m an RN also stocking up my medical kit. My opinion is to stay away from ibuprofen. 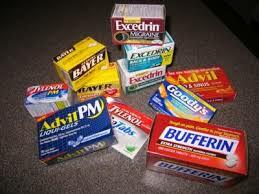 NSAIDS have a risk of heart attack and stroke. Aleve (naproxen sodium) has by far the least risk. Ibuprofen was so high on the list of the study I read I no longer use it. Also, aspirin does not have an unlimited shelf life. But, there is an easy way to tell if it’s gone bad: smell it. If it smells like vinegar, it’s no longer good. You also must be very careful of Tylenol (Acetaminophen). It’s in a lot of cold remedies, so it can be easy to overdose. In fact, it’s the leading cause of (acute) liver failure and transplants in the US. So be sure to read the ingredients of what you are taking. Benadryl is a good sleep aid. We used to give it as a pre-op sedative in the hospital. It’s actually the sleep aid part of Tylenol PM. Do not use alcohol for “wound care”. It has a nasty habit of attacking good tissue. Use it for cleaning intact skin only. Use Hydrogen peroxide for wounds. There’s nothing better for sunburns and other minor burns than Lidocaine HCL. Do a search in Amazon for it and you’ll get all sort of products that contain lidocaine. The following are some items that she suggests should be in our medical supplies. Don’t forget a stethoscope, blood pressure cuff, old fashion mercury thermometer (no batteries needed) and an otoscope for looking in ears. 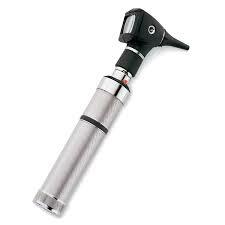 Many of us are stocking items like the otoscope and stethoscope as well as surgical instruments that we do not have the medical knowledge to fully utilize. However, I feel that in some situations it will be easier to find trained medical personnel than medical supplies. I have several nurses that live near me that are not preppers, but are well trained and could be of help in an emergency. How do you wash clothes without water? This entry was posted in medical and tagged medical supplies. Bookmark the permalink. 13 Responses to Medical Supplies and Information, You Should Have. Got to disagree about peroxide. Research shows it actually slows healing. Best for cleaning a wound is soap and cool water. I didn’t know that Aleve was less dangerous to use. I started using it more because it worked better for me. My medicine cabinet isn’t stocked very well, and I want to get the essentials. I’m going to have to be more organized about it when my mother comes to live with us. She has to take a handful of medication every day, and I’ll be helping her with it. Good to know not to use alcohol for wound care. I used to use it on my cuts and scrapes so I probably wouldn’t have known better otherwise. Thanks for the great advice. It’s good to read things like this when trying to make a first aid kit. I like to have lots of things in it, so no matter what happens I’m prepared. It’s like I’m a boy scout. I really appreciated all of the insights you gave about medical supplies that you should have. You talk about how you should stock things like an otoscope and a stethoscope, which is something that surprised me. I honestly didn’t even know that you can just go ahead and buy these even if you don’t have a medical license. Thus, do you know of places and sites to go to that you can find medical and surgical equipment like this? Thank you for sharing! Amazon,doom and bloom website, and various medical and veterinary supply sites. I had no idea that using alcohol for open wounds was a bad idea. Like many others, I thought it was a good way to clean a wound and prevent infection! After reading your article, though, I’ll make sure to stock up on Hydrogen peroxide to use in alcohol’s place. Is there a specific brand of Hydrogen peroxide that you prefer to use? You have to watch peroxide, some people are allergic to it and if that is the case use witch-hazel to clean wounds. The reason most medical people don’t use alcohol is that it aggravates the wound. Using hydrogen peroxide or rubbing alcohol to clean an injury can actually harm the tissue and delay healing. While it is true that alcohol can work to minimize germ activity within the wound surface, it will also burn your skin immediately. Skin cells can be damaged when put in contact with rubbing alcohol and swelling or itching that results might be misread as inflammatory symptoms. I didn’t know alcohol shouldn’t be used for wound care. I’ve used it a few times, but will switch to peroxide from now on. I’m glad it’s still ok for intact skin cleaning, though, because I feel like it does a really thorough job. some things people overlook. with SHTF is sanitation which will probably not be as good as it is now. DONT FORGET to add anti-diarrheal medication. walmart has this in equate (house brand) 200 for less than $10. equate jock itch $5. get several of both. get more than you think you can possibly use. if you think it is enough, think about the alternative and get more. compare your OTC meds active ingredients with equate brand. their many uses for petroleum jelly (youtube – petroleum jelly hacks). check in spring and summer for large assortments of band aids (several sizes, spots and patches) in a container of 1-200 at a very good price. adhesive tape, feminine hygiene products (tampon rappers, tied at the end, make good fishing floats, bobbers,) pads are good for stopping bleeding from a large cut), condoms, I have not checked youtube – hacks or uses to see but there are several, toe nail clippers – securely tie a long colorful string or yarn through the hole in the end for ease of locating them, also alcohol and hydrogen peroxide. check sporting goods for fishing, ammo, and other camping gear. before school starts, stock up on notebooks paper and writing supplies. walmart has very good prices on school supplies. check the freeze dried foods, I havent tried them. In the past, I had a bad habit of using alcohol wound care and man did it sting! I’m not surprised to find out that it has a habit of attacking the good tissue. That would explain why it hurt so much when treating wounds. I will use Hydrogen peroxide from now on for the sake of my good tissue staying intact. Thanks for mentioning that hydrogen peroxide is better for wound care than alcohol. I can definitely see the importance of keeping sanitizer on hand that won’t attack good tissue. I imagine that buying from a certified medical supplier would be a good way to make sure that you have access to the proper tools and to quality care items. Getting medical supplies seems like a tricky thing to do. I liked that you pointed out that it might not be a bad idea to have some old fashioned supplies. Like you said having a mercury thermometer does seem like a great thing to have because it will always work.